Rosemary Caron (Professor of Health Management and Policy) and Marion (Molly) Girard Dorsey (Associate Professor of History and Faculty Fellow in the COLA Dean's Office) have published a co-edited text, Health and Freedom in the Balance: Exploring the Tensions among Public Health, Individual Liberty, and Governmental Authority (Nova Science Publishers, July 2017). The collection of case studies and class exercises will be relevant to those in justice studies, history, and health and human services, among other areas of study. 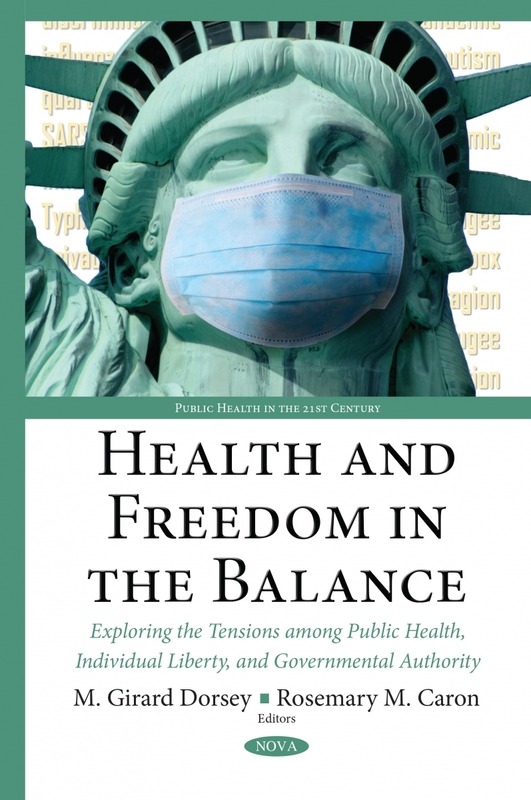 The textbook grew out of a Saul O. Sidore Memorial Lecture Series that Caron and Dorsey ran in 2013-2014 on the theme Your Liberty or Your Health: Exploring the Tensions among Public Health, Individual Liberty and Governmental Authority. The Sidore lecture series was established in 1965 in memory of Saul O. Sidore of Manchester, New Hampshire. Mr. Sidore was a humanitarian, a businessman, and president of the Brookshire Mills and Pandora Industries in Manchester. He was a progressive employer, and the lecture series named in his honor addresses critical issues in politics, society, and culture. "The clash between individual liberties and the protection of the greater population is an ongoing conflict between core principles held dear by Americans for centuries," reads the book description at Nova Science Publishers' website. "One of the nexus points occurs in the application of public health measures by governmental authorities to defeat deadly germs, perhaps on an epidemic scale, in ways that can erode individual decisions about healthcare, privacy, bodily integrity, and personal liberty in the name of the greater good of community health. People may approve and appreciate protective measures enacted by the government when influenza breaks out or when there is a food recall, but may also feel wary simultaneously. How has this conflict played out throughout history, and how has this clash progressed today? What benefits do individuals reap and what costs do they pay for the application of public health? Almost every individual will find himself or herself engaged with public health measures of some kind on an individual, familial, or community level, so we should all be aware of the issues involved." Read more about Health and Freedom in the Balance.